On Monday morning, I embarked upon a unit of inquiry with my grade 5/6 class by using our usual ‘warm up’ routine to reflect on and discuss the slide below. As students arrive in the morning, when possible, I project some sort of provocation, sometimes directly connected to our inquiries, sometimes specifically not, and sometimes just for fun (link to ‘warm up’ slides). Many students sit down and begin writing or sketching immediately, while some prefer to converse before working independently. After a few minutes, we share and discuss our ideas. Before setting the students loose, we will conduct a modeled inquiry into 3D printing. The purpose will be to model a standard inquiry process as well as generate interest in various aspects of technology including scientific, social, artistic, and cultural. It was extremely effective last year and, especially based on my current class’ formative understandings, I’m confident that the next few weeks will be fun and enlightening. 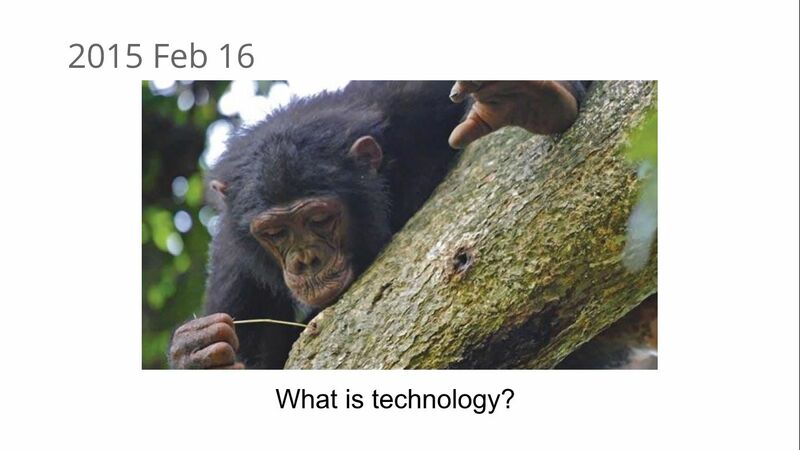 Posted on February 17, 2015 November 20, 2016 Categories Deeper Learning MOOC, dlmooc, how the world works, IBO Primary Years Program, inquiry learning, science, social studiesLeave a comment on What is technology?